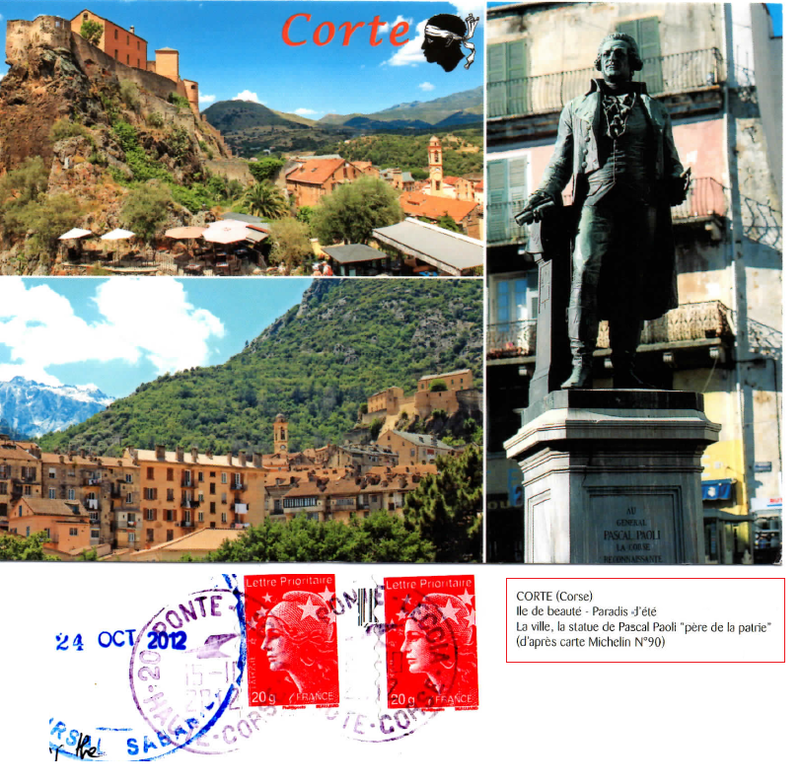 Last year, October 2012, I learned something new: Corsica is a French island in the Mediterranean. It is located west of Italy, southeast of the French mainland, and north of the Italian island of Sardinia. Until that moment, I supposed that Corsica was an Italian island and that's it. This is part of the magic from Postcrossing! Now I have this wonderful pictures to know a little bit about this French place. Amazing! El año pasado, en octubre del 2012, aprendí algo nuevo: Corsica es una isla francesa en el Mediterráneo. Está localizada al occidente de Italia, al sureste del territorio francés y al norte de la isla italiana de Sardinia. Hasta ese momento, yo creía que Córcega era una isla italiana y punto. Esto es parte de la magia de Postcrossing! Ahora tengo estas maravillosas fotografías que me enseñaron un poquito de este lugar fuera de Francia. ¡Increíble!